At Evolve Real Estate and Property Management we work with a lot of renters, and their main objection for not owning a home is – affordability. I’ve heard many say that they don’t have money for down payment or that they can’t afford the monthly payment. Both of these are myths, if you really do some research. Interest rates are still at all time lows, making your monthly payment a lot more affordable then rent in most cases. There are also some loans that would still allow you a very minimal down payment.We just closed a transaction where the buyer was using a CHFA loan and all she paid out of pocket was $3,000 on a $210,900 house. And that made us realize, that we as Realtors often forget about this great option, mistakenly thinking that there will be a lot of hoops to jump through; but it was smooth sailing and didn’t take any longer that a regular FHA or conventional loan would. So here it is – info on low or no down payment options for home buyers. 1. FHA loan. It only requires 3.5% down. There are limitations on the amount of money they will lend you on this program and other qualifying criteria depending on the state and county you are buying in. 2. VA Loan is a great 100% loan option for those who qualify for veteran’s benefits. So, renters – what are you waiting for? How about you use one of these options of low to no money down, start getting that tax benefit and take advantage of the current low rates? The rates on CHFA program are slightly higher than the FHA mortgage rates, but you only need to put 3% down and there’s no costly monthly mortgage insurance to be paid. So in the long run, the monthly payments are more affordable. In many cases they can even finance your 3% down payment, so you end up putting very little to NO MONEY DOWN. This program is designed mostly for first time home buyers, or those who have not owned for more than the past 3 years. There are other qualifications of course as in case with all mortgage applications, but we just wanted to share this great option with those who think that the dream of home ownership is out of their reach. If you have been renting for a while, first time home buyer who just doesn’t think you can afford to buy – think again. You really can’t afford NOT to buy. Give us a call and we will guide you through this process. Better yet, give a call to one of our favorite mortgage brokers – Patrick Donlon with Nationwide Federal Home Loans. He has been in the mortgage industry for 28 years and knows all about these programs. Patrick can help you navigate through the loan process and advise you of your best option. Please call or e-mail him at 303-726-3002 or pdonlon@NFHomeLoans.com. And good luck to you! 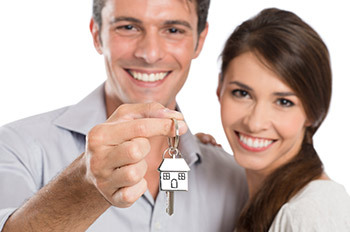 We know that home ownership is a dream of many and we can help you realize it, even if the money it tight!